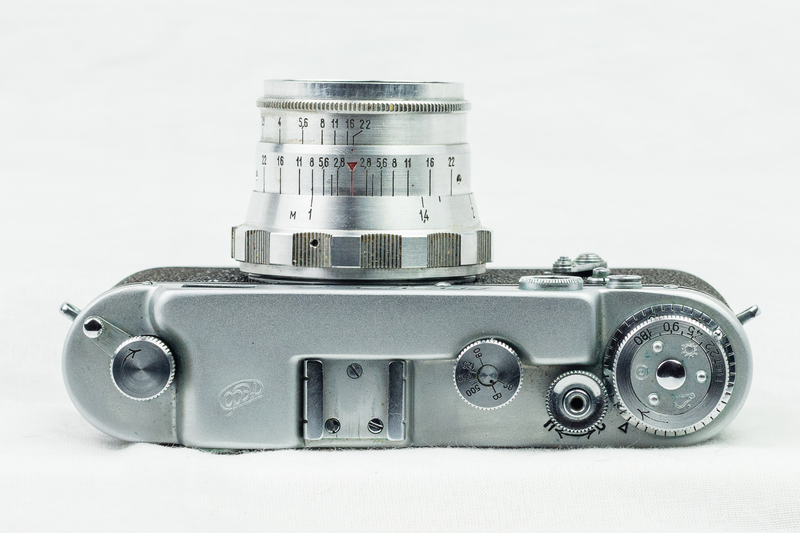 The original FED was a more-or-less straight copy of the Leica II. Made in Kharkiv by orphans in a forced labour camp under the management of the leader of the NKVD (really! ), it was significantly less well-made than the original German camera. 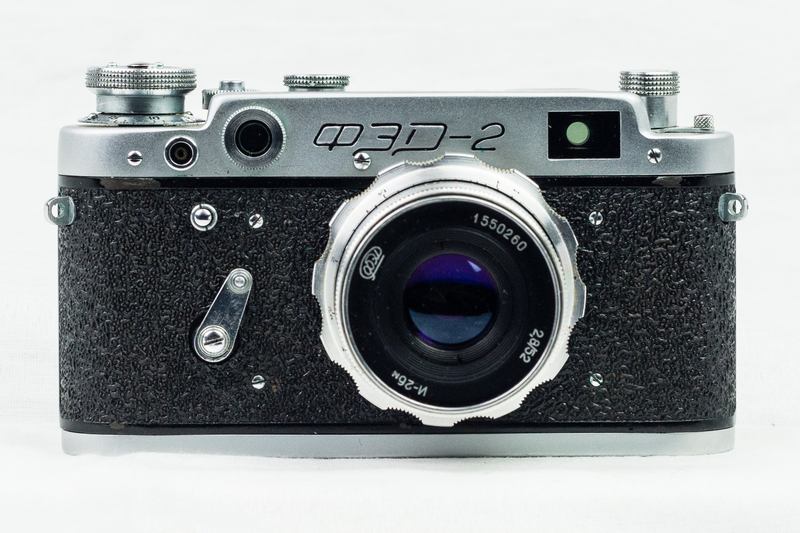 Nevertheless, engineers in Ukraine worked to improve the camera and the FED 2 was the first major revision. The first one rolled off the line in 1955 and it was produced until 1970, although there were several incremental improvements made to it over that period. I have two of these, both from flea-markets in Kyiv. One I bought, the other was given to me free to sweeten the deal on another camera. Both of them are functional although the self-timer springs on both have become uncoiled. The camera is very typical of Soviet rangefinders of the time. It’s relatively solid and heavy for its size but at the same time, it’s very basic in specification. 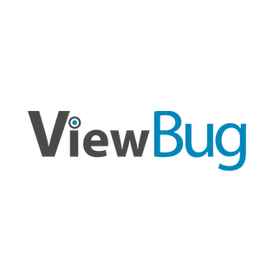 The shutterspeeds range from 1/500th to 1/30th of a second with a B setting in addition. Flash sync is limited to 1/30th and there is both a coldshoe and a sync socket. Improvements over the original FED include a wider rangefinder base for more accurate focusing, a self timer, a diopter adjustment lever (underneath the rewind knob) and a redesigned body that allowed the back to be removed along with the base for easier film loading. By the time mine were made, some changes to the shape of the control knows had happened too, the winding knob became mushroom-shaped and the advance disconnect crown on the shutter release became larger and easier to use. 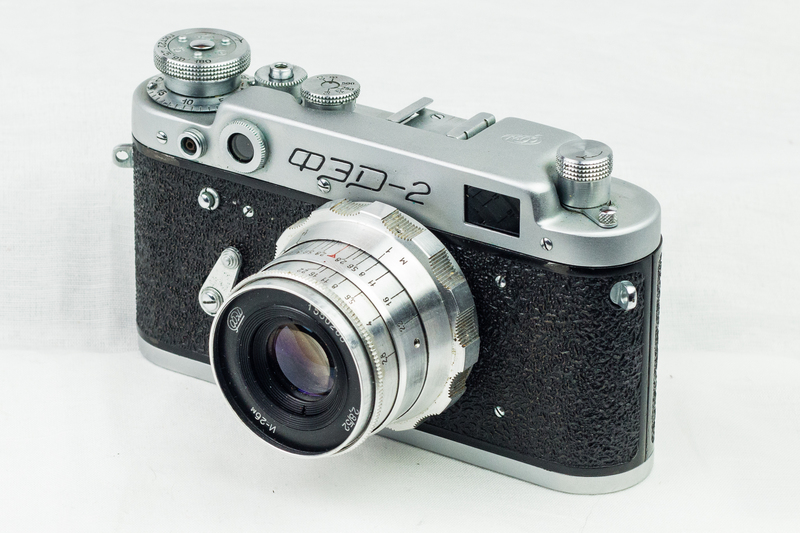 Like most Soviet 35mm cameras of its time, it used the m39 lens mount. Mine both came with Industar lenses carrying the FED brand name and made of solid aluminium. One is an Industar-61, the other is an Industar-26M, both are 52mm f/2.8 lenses and are largely identical. If pressed I would say that the 61 is a bit sharper than the 26M, but neither can really be described as particularly sharp. Both are noticeably soft at the edges even when stopped down. If you don’t care too much about hyper-fidelity however, the FED 2 is a great street camera due to its relatively small size and ruggedness. Plus, now that retro-styled cameras are cool again, there’s always the chance that someone will think you have some $2000 mirrorless instead of a budget Soviet beater. I’ve run a few rolls of film through mine and it performs as well as can be expected for a camera of its age. It’s fine for walking-around shots and spontaneous portraits where the softness and fall-off aren’t as much of an issue.